Home from work in time for the races. Seemed like forever to get to the stakes. The polytrack looks like the stuff people use for footing in model horse shows. They’re off!! Storm Military in front…DDaytona up close…Daytona in lead!! MAd closers!! Whatsthescript!! OOOOO….OBJECTION!! With that blanket finish it doesn’t surprise me. Whatsthescript not involved…god, the place & show ponies were way off my radar: Bold Chieftan & Global Hunter. Mostacoli Mort…doesn’t “mort” mean “dead” in French? YES!!! GO BETWEEN!!! Grinds. It. OUT!!! and….TRIFECTA, BABY!!! GO BETWEEN/Well Armed/MAst Track = 12 pts for SAUHBR!! As Lori Petty used to say, PAY THE LADY!! NEXT WEEK: TOGA TOGA TOGA!! Saratoga’s 140th season begins Wednesday, and all the Gr1 Stakes action is on Saturday. 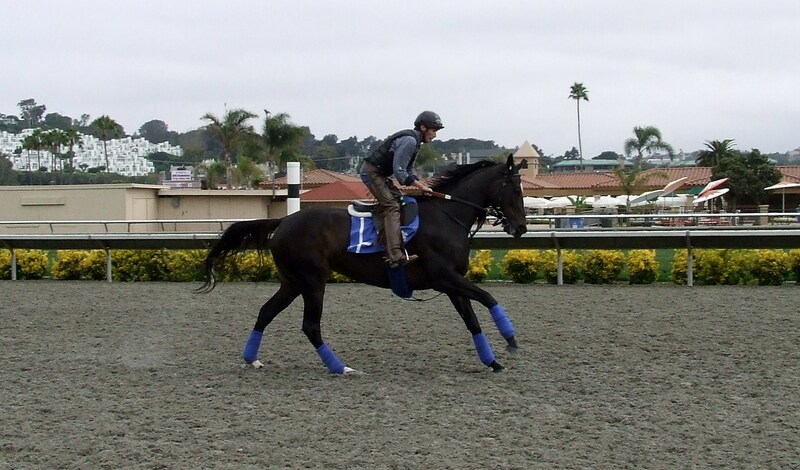 Del MAr is just cranking up, too! The dog days of summer are best spent watching TVG in the AC on the 42″ plasma TV. COOL, EXCITING STUFF: I’m about to get involved with another blogger…more to come! The Coaching CLub American Oaks (Gr1) used to be the Belmont of the New York filly Triple Crown. 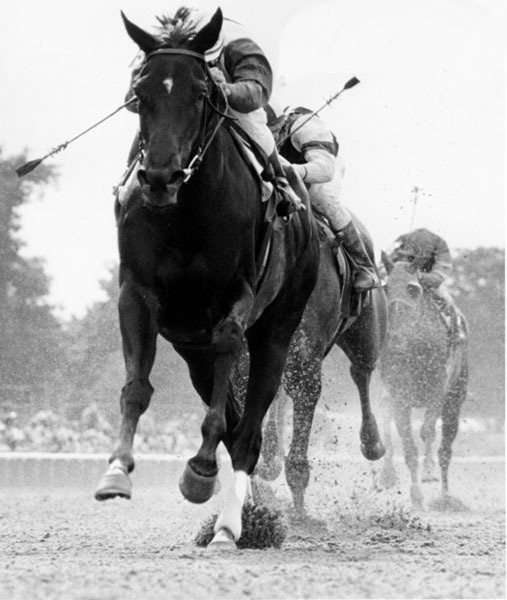 Such luminaries as Twilight Tear (1944), Ruffian (1975) and Mom’s COmmand (1985) have won the race in their Hall of Fame careers. More recently, Ashado won the race enroute to her championship 3 yo season honors. In 2001, Tweedside provided her sire Thunder Gulch a rare double, when she won the CCA Oaks, then run at the 1.5 mile distance, the same year as Point Given captured the Belmont Stakes, also at that marathon stretch. This year’s CCA Oaks is an intriguing field of 5, with two Godolphin-owned fillies the likely (and deserved) favorites. LITTLE BELLE and MUSIC NOTE are the class of the field. Both are by Belmont winner AP Indy, who sired 2002 winner Jilbab. I give Music Note the edge over Little Belle, pedigree-wise, with that Sadler’s Wells broodmare sire. Acoma is also tough here, but with only 4 starts she is due for a loss sometime. Little Belle is more experienced than both other fillies. Plus, she ran 2nd in her last start, the KY Oaks. It would be an ironic twist if Never Retreat wins, as she is trained by Kiaran McLaughlin, former trainer of Little Belle. And that’s all I have time for this weekend…Go EVENING ATTIRE in Philly!